As Thanksgiving rolls around, I wanted to share our September hands-on project from my West Island Cake Club meeting. Yay!! Cake club is back! So fun!! This is a great project to make with your little ones this coming weekend. This recipe is taken from Family Fun Magazine. You can use their recipe for sugar cookies, found here. 1. Frost the cooled cookies with yellow crusting buttercream icing. 2. Fill in the middle with candy kernels gently pressed into place. Leave a small area at the base clear of candy so as to have a spot to attach husks. 3. Roll out green fondant to a thin oval shape, double the length of your cookie. 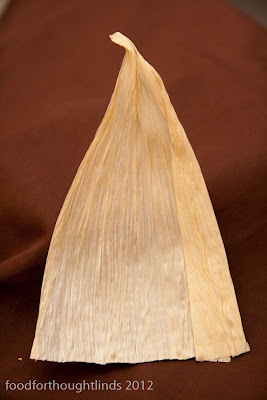 Using corn husks, veining tool or even a toothpick, you can create definition to the "corn husks". 4. Cut out an oval shape, pointed at each end, then cut in half horizontally to give you two leaves. Split leaves if you wish to have more layers. 5. 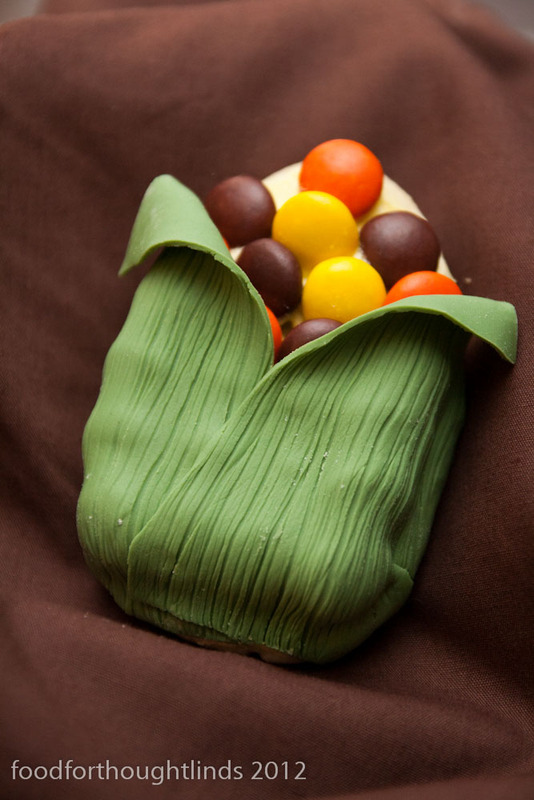 Press the husks in place atop the cookie, curl the tips down a bit, letting the candy kernels show in between the leaves. Happy Thanksgiving everyone (or at least all of you Canadians out there)! Love it! Kaydence and I will be making these on Friday :o) Thanks for the great idea!